7 Kids and Us: After Bite for Summer Big Bites! Living in Florida, we get bit a lot. Not just by mosquitoes, but noseeums, ants, sand fleas...if it bites, we probably have it here. I spend half of my evening time itching from the array of things that bit me that day. It's the price you pay for living in beautiful south Florida! I can handle the itchy pain of bug bites, but I hate when the kids are hurting from it. My oldest will itch himself raw, and my youngest already has eczema, so he is already itchy and it kills me to have to watch him scratching again. 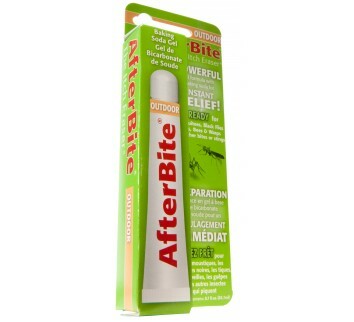 Recently, we had the chance to try out After Bite, After Bite is a medicine you put on the bite, and it makes the itch stop, instantly! After Bite Kids® is a non-stinging cream that provides soothing relief from the pain, itching and swelling of insect bites and stings. 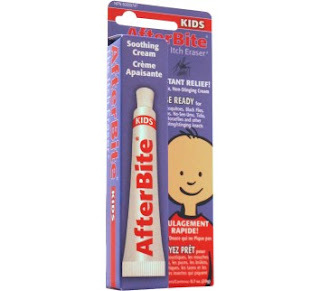 After Bite Kids® contains baking soda, aloe vera and tea tree oil to soothe and moisturize the skin. Now you can treat even the most over-scratched bug bites without fear of painful stinging. A trusted family favorite because it works! I am so happy with the way both of the products worked, we had instant relief from the bites, and my kids didn't have to scratch or be in pain. We will definitely be keeping this on hand from now on!